Please make checks payable to: ﻿Practical Home Planning or The Alison-David Corporation. ﻿ There will be a $25 returned check fee for all checks returned for insufficient funds. Important announcement! Everyone who has purchased a copy of the Condensed Edition is entitled to a 20% discount on all other books available from Practical Home Planning. To obtain this discount, please turn to page 46 of the Condensed Edition and put the figure number appearing on that page on your check. 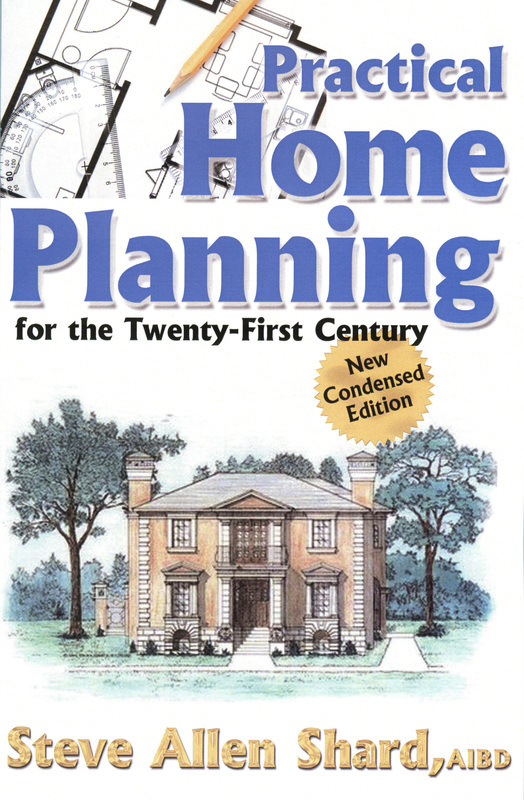 Practical Home Planning for the Twenty-First Century--Special Remodeling Edition: Currently being written. Universal Design for Barrier-Free Living: Currently being written. Home Styles--Origins, Characteristics and Applications: Not available at this time. Architectural Travels and Treasures of the USA--A list of significant architectural treasures (mostly residential) around the nation that you may want to visit if you are in the area. Some have photographs. Currently being written. Architectural Travels and Treasures of the World--A list of significant architectural treasures (mostly residential) in foreign countries that you may want to visit if you are in the area. Some have photographs. Currently being written. Florida residents should add 6% sales tax. Shipping costs (USA Only): NOW, all books ordered on this site include FREE SHIPPING ! ! ! Orders that do not have the full payment enclosed or payment in the incorrect amount cannot be processed. All new comprehensive educational tool for prospective homeowners to guide you through the entire process of planning, design, permitting, construction and more from the decision making to move-in. Written in easy to understand language that virtually anyone can understand. Hundreds of color and black/white photos, drawings and diagrams to assist you in planning your dream home, whether you want to buy, build new, remodel, add or restore. The same educational tool for builders, developers and prospective homeowners to guide you through the entire process of planning, design, permitting, construction and more from decision making to move-in. Not as many pictures and written in a concise but easy to understand format.